This 32mm. 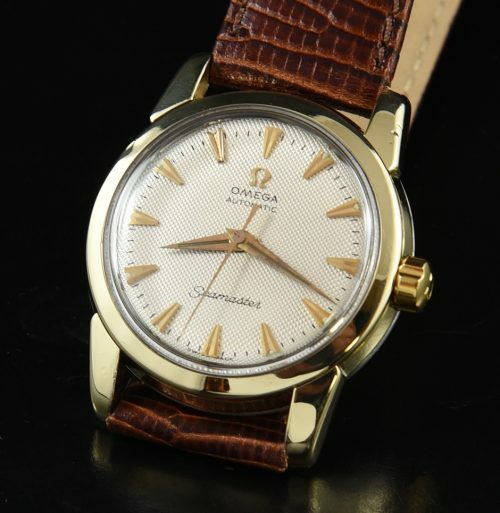 gold capped OMEGA SEAMASTER has an eye-grabbing ORIGINAL honeycomb dial and original Dauphine hands. This is a harder-to-find mid-size watch measuring a smaller 32mm.-more like a classic 1930’s Patek Phillipe Calatrava size. 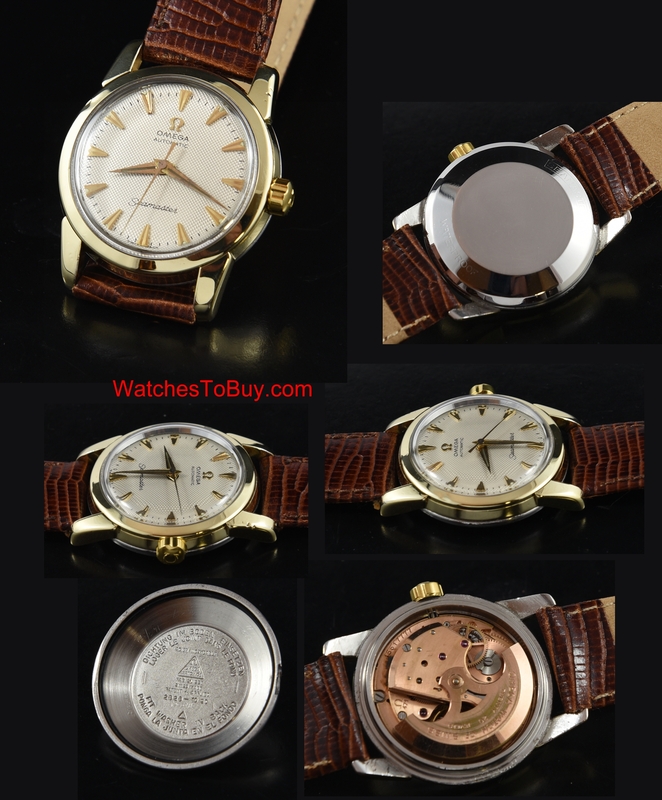 The case has tiny dings in the lug as seen in the pictures, but are not really detracting, as the dial is what catches the eye. The automatic winding caliber 471 OMEGA movement sparkles after a recent cleaning. This is a great looking OMEGA on the wrist.